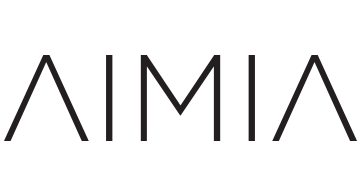 Aimia Inc. (TSX:AIM) is a data-driven marketing and loyalty analytics company. We provide our clients with the customer insights they need to make smarter business decisions and build relevant, rewarding and long-term one-to-one relationships, evolving the value exchange to the mutual benefit of both our clients and consumers. With about 3,200 employees across 17 countries, Aimia partners with groups of companies (coalitions) and individual companies to help generate, collect and analyze customer data and build actionable insights. We do this through our own coalition loyalty programs such as Aeroplan in Canada, Nectar in the U.K. and Air Miles Middle East, and through provision of loyalty strategy, program development, implementation and management services underpinned by leading products and technology platforms such as the Aimia Loyalty Platform and Smart Button, and through our analytics and insights business, including Intelligent Shopper Solutions. In other markets, we own stakes in loyalty programs, such as Club Premier in Mexico and Think Big, a partnership with Air Asia and Tune Group. Our clients are diverse, and we have industry-leading expertise in the fast-moving consumer goods, retail, financial services, and travel and airline industries globally to deliver against their unique needs.